The long-awaited extension of two runways at Alliance Airport is complete, clearing the way for the north Fort Worth’s privately run cargo airfield to expand its services to include companies wishing to ship freight as far away as Europe. The airport already was a major regional hub for FedEx Corp. and other companies. But now, the extension of the runways to 11,000 feet makes it possible for Alliance Airport to accommodate any overseas expansion plans those companies have and also attract new cargo firms — and jobs to north Fort Worth — Alliance Air Services President Tom Harris said. 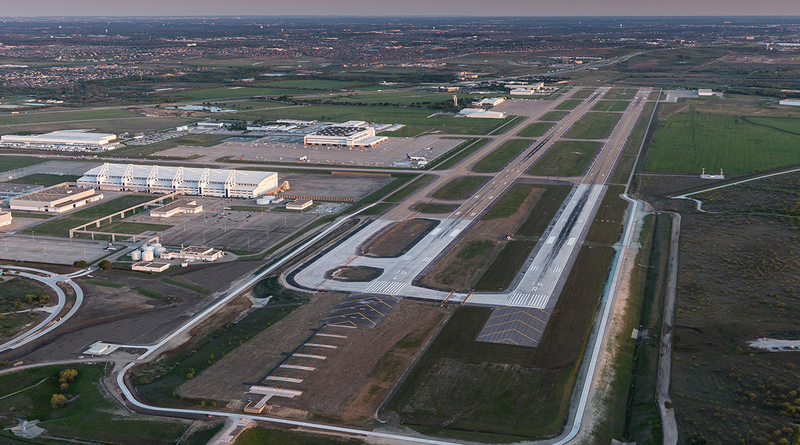 “With the completion of the extended runway, Fort Worth Alliance Airport is better positioned to serve the needs of our customers today and long into the future,” Perot said. AllianceTexas has created 48,800 jobs, and has more than 2.6 million square feet of retail, restaurant, medical and entertainment space as well as single-family and high-end apartments. The development has generated more than $69 billion in economic impact for the North Texas region, Hillwood officials say. AllianceTexas is the nucleus of job and residential growth in north Fort Worth. In all, there are 488 companies within the master-planned community’s boundaries, officials said. At times, especially during race weekends at nearby Texas Motor Speedway, it’s not uncommon for hundreds of travelers to arrive and depart at Alliance Airport, through its general aviation and corporate services area. However, there are no immediate plans to offer regularly scheduled passenger service at Alliance Airport, Harris said.